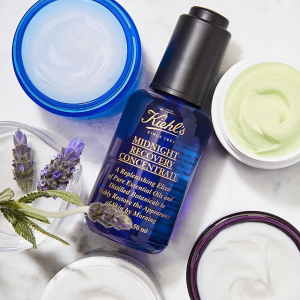 Belk offers the $15 off with $75+ Kiehl's purchase, via coupon code BELKBEAUTY15 . Plus, get up to 4-pc gift with Kiehl's purchase. Get free 3-pc gift with $65 Kiehl's purchase. Get free creme de corps smoothing oil-to-foam body cleanser(250ml) with $125 Kiehl's purchase. Kiehl's Since 1851 Calendula Herbal Extract Alcohol-Free Toner, 8.4 fl. oz.